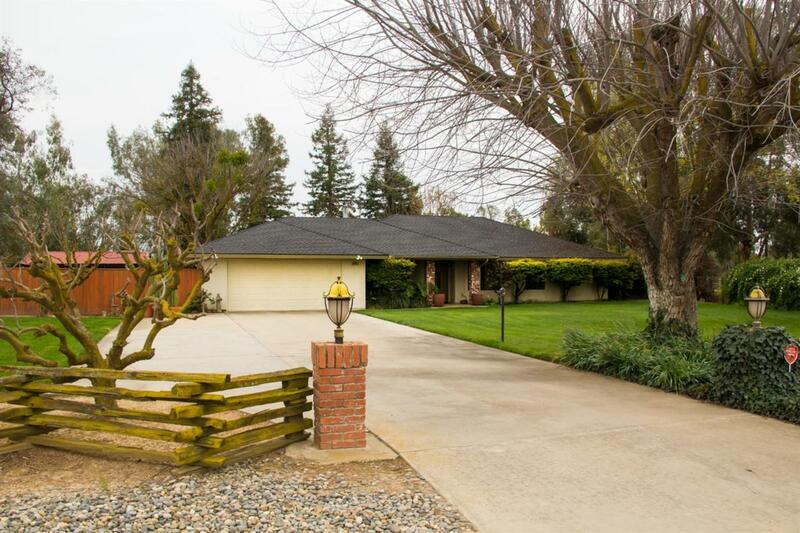 This Custom Country 4 bedroom and 2 bath home with a stunning pool with patio, sits on a beautiful ranch property located in Madera Ranchos. 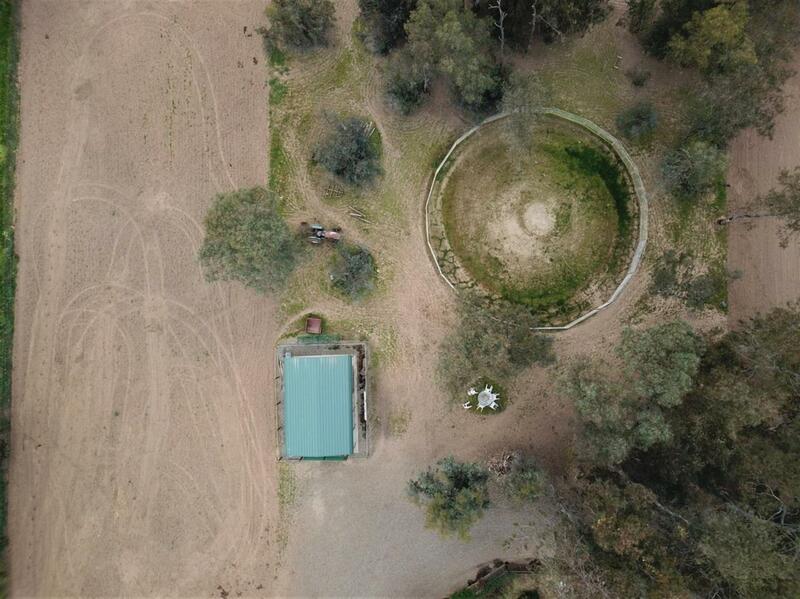 The 2 plus acre horse property has 2 horse stables, with 4 horse stalls, 2 tack rooms, a circle arena, riding arena, a Hay/Feed barn, covered RV Parking and additional room to add a 2nd home or shop. 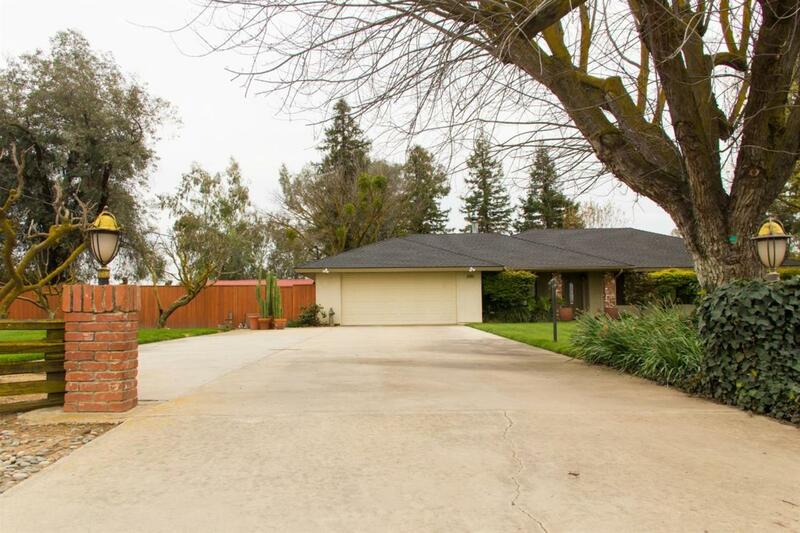 The home itself is updated throughout with a custom kitchen with high end stainless steel appliances, cabinets, granite countertops and backsplash. There is an open floor plan that connects the kitchen, dinning and living rooms, with a separate family room and fireplace. Newer roof and A/C, and dual pane windows help make the home energy efficient. 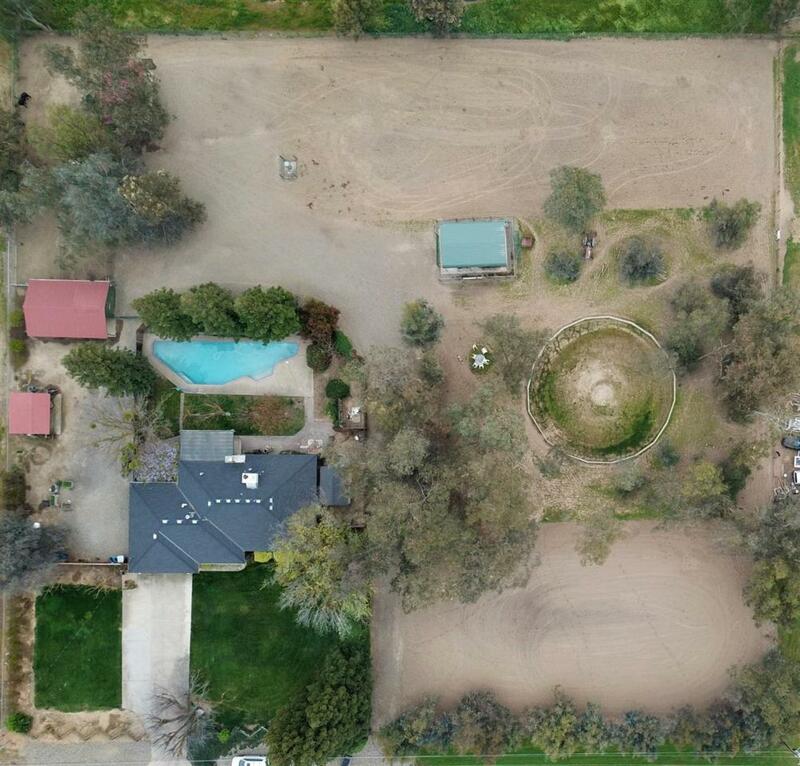 With beautiful views of the foothills and mountains, this property is perfect for you!